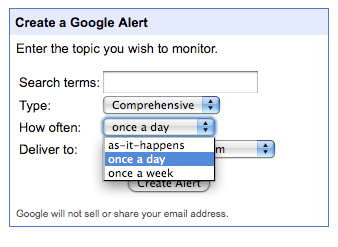 You are right that Google Alerts doesn't give you every possible result. Too many people think it does. 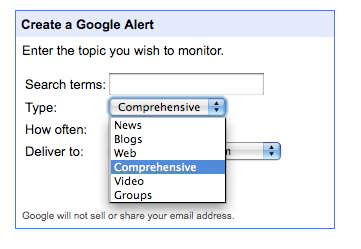 I have found that creating multiple alerts with different combinations of keywords gives you a lot more results that just a single search term with all the keywords. That's a good suggestion. Different combinations of search terms will yield different 'top 20' lists. When you search for a long list of keywords, Google will only give you hits for pages that contain all of them. If any one of the keywords is sufficient, you need to search for them separately.